After what seems like more than just a month in limbo, Education Secretary Michael Gove finally confirmed yesterday that the Swiss Cottage academy secondary school, sponsored by UCL, would be getting the funding promised by the last Labour Government under the Building Schools for the Future (BSF) programme. This followed from the debacle a month ago, when his Department took five attempts to get the list of BSF projects being cancelled. At that time Gove announced that he was cutting the funding to refurbish Camden’s existing secondaries, and that he hadn’t decided on the fate of Academy (as well as that of Swiss Cottage special school and the expansion of South Camden). Whilst many of us have strong reservations about the governance, accountability and curriculum of academies, and there’s no denying that there is a very strong case for a new secondary south of the Euston Road, ultimately it has to be good news that there will be more secondary place for kids in Kilburn. And if you have to have an external sponsor, there are far worse ones than UCL, one of the foremost universities in the country. 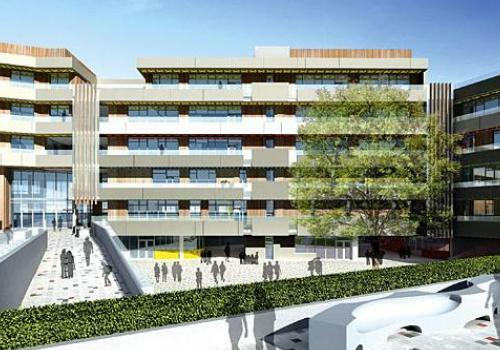 Camden’s education chief Labour councillor Heather Johnson said: “I am very relieved that we will now be able to go ahead with these three key projects. Camden families certainly need these additional secondary school and special school places and it’s good news that at least some of the work that’s been put in by heads, governors and students will be realised. I’m also a governor at Frank Barnes School for Deaf Children, which is having to move to make room for the new school We’ve just gone through four years of fighting the previous Tory-Lib Dem administration which ran Camden to ensure a viable future for the school on a new site. Given all the hard work we put into campaigning and the support we had from across the borough and beyond (not to mention the prize we eventually secured of a brand new school on the King’s Cross development) it would have been a tragedy for this to have been snatched away. Update 14 Aug: A couple of eagle-eyed readers have noticed that I got my megatives in a bit of a twist in my original post when talking about the merits of a new school south of the Euston Road. I’ve updated the post to correct this; for the avoidance of doubt, there clearly is a very good case for a new secondary school for the south of the borough.